If you play online casino games and are not in possession of a credit card but still want the convenience of making deposits into an online casino account with a card, the Maestro payment method could be the system for you. Using Maestro has a number of advantages to online casino players. One such benefit is the fact that deposits made with Maestro are fast, convenient and easy. Users simply have to enter the number of their card and how much they would like to deposit and then they are free to use the funds in their casino account and enjoy all their favourite games. Unlike other payment methods that can charge hefty fees for using the system, the Maestro method has no fees attached. Unlike credit cards, which you receive a monthly bill and have to pay back the money, with the Maestro system you only spend what you have in your bank, as all the deposits you make into an online casino account come directly from a user’s bank account. Consequently, players can keep on track of what they transfer into a casino account and only play with what they can afford to play with. Another principle advantage of this casino payment method is the fact players can store the number of their Maestro card with a casino site and use it to make future deposits. This provides additional convenience as it means players will not have to keep entering the same card number. The Maestro payment system is also safe to use due to Maestro cards using SSL as a means of protecting data that is sensitive and prevent it falling into the hands of the criminals or fraudsters. Due to the fact that the funds you pay into an online casino come directly from your bank account, it is advisable that you dedicate a budget to your casino activities. Setting aside a dedicated budget will help ensure you only deposit the funds you can realistically afford to deposit. If you are finding it hard to stick to the budget and are delving into money dedicated to other things, you could always open a different Maestro account that’s specifically for making deposits into an online casino account. This will help you stick to your casino playing budget and be less tempting to delve into other funds. Are there any drawbacks to using the Maestro payment method? One of the drawbacks of this payment method could be considered to be the fact that you can only make payments with the cash you have available in your bank account. 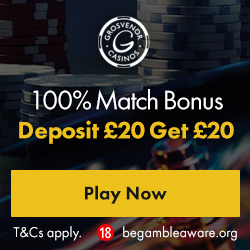 Whilst this can be viewed as a definite positive as it helps to prevent players from getting into debt, it also mean that if you haven’t got the funds, you won’t be able to play and enjoy the casino games you love to be involved with.